The Golden triangle train tour package is one of the most frequently visited tourist circuit of the world. 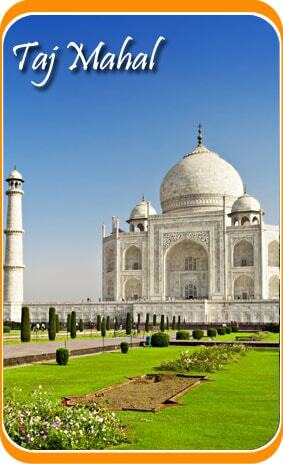 The cities Delhi, Agra, Jaipur give you an insight to the rich culture and heritage of India. Come indulge into the vibrancy of these three cities with a tour of ‘Venture into the Delhi, Agra, Jaipur Train Tour’. Enjoy!! As you reach New Delhi Airport, check into the hotel escorted with our representative. Rest for a while. Stay at the hotel for the night. Go on and explore the streets of Delhi and visit the famous monuments like India Gate, Jama Masjid, the Red Fort, The Gandhi memorial and the Qutub Minar Complex. Also Visit the Humayun’s Tomb and the Laxmi Narayan Temple. Stay at the hotel for the night. TBoard the connecting train to Agra from Delhi. As you reach Agra, check into the hotel escorted by our representative. Explore the beautiful Taj Mahal, the agra Fort and the Tomb Of Itmad – Ud – Daula. Stay at the hotel for the night. First thing in the morning we will visit the ruins of Fatehpur Sikri and visit places like the Panch Mahal, Buland Darwaza Birbal Bhavan and the Jodha Bai Palace. Board a train to proceed on to Jaipur. Overnight stay at the train. Explore the “pink city” by venturing into the Amer Fort on to an elephant ride. Thereafter cover places like City Palace, Jantar Mantar, and the Local bazaars of Jaipur famous for their handicraft materials. The evening is free for individual activities.